Name: The 15th Annual Dance of Hope, Presented by The Let It Be Foundation with the support of our Dance Community! 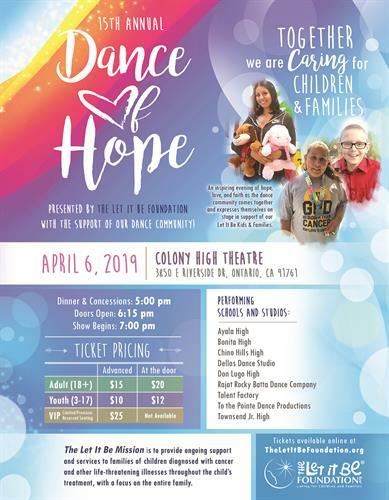 Please join us for this inspiring evening of hope, love, and faith as the dance community comes together and expresses themselves on stage in support of our Let It Be Kids and Families. This is a beautiful event for the entire family.